Here’s a small but very useful PowerShell script to generate GUIDs in different formats. You can use this method with PowerShell as alternative to the tail command at Linux. Visualize data in PowerShell as GridView. When using PowerShell, did you ever wish to have a function to pipe structured data to visualize it. 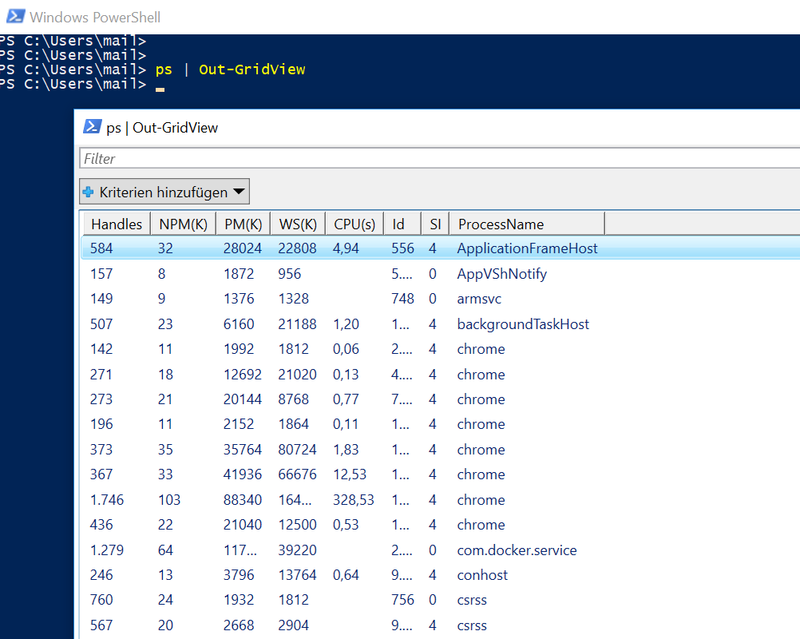 PowerShell has a great built-in function for that: Out-GridView. You can even filter the rows in the grid. Posted on 24. July 2018 Categories PowerShellLeave a comment on Visualize data in PowerShell as GridView. If you want PowerShell to wait for an action to complete, you can display a loading spinner using these few lines of code. The script will print a new dot every three seconds until the condition in the until-clause is fulfilled. Invoke-SqlCmd ist a great cmdlet for PowerShell for querying SQL databases. But sometimes you don’t want to install the extra requirement SQL Server Management Objects on the server. Invoke-SqlCmd -ServerInstance $Server -Database $Database -Query "SELECT * FROM Staff"
There’s an simple alternative. Use the .NET classes in the System.Data.SqlClient namespace which are available on every computer which has the .NET framework installed. SqlQuery $Server $Database "SELECT * FROM Staff"